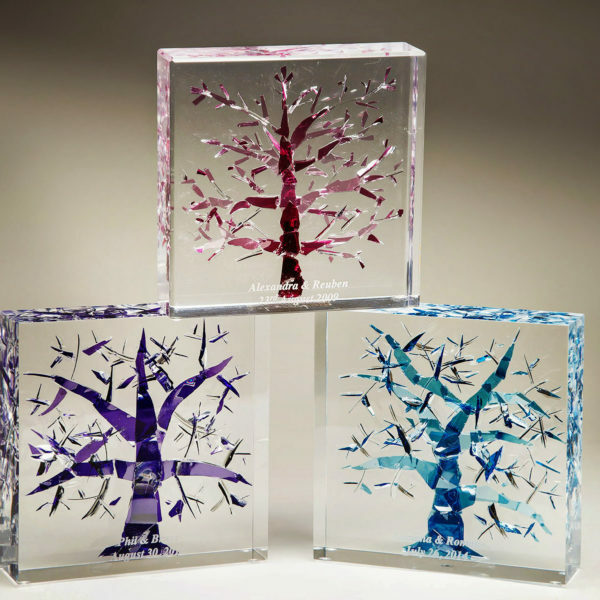 The Tree of Life or “Etz Chaim” is one of the most enduring images in Judaism. 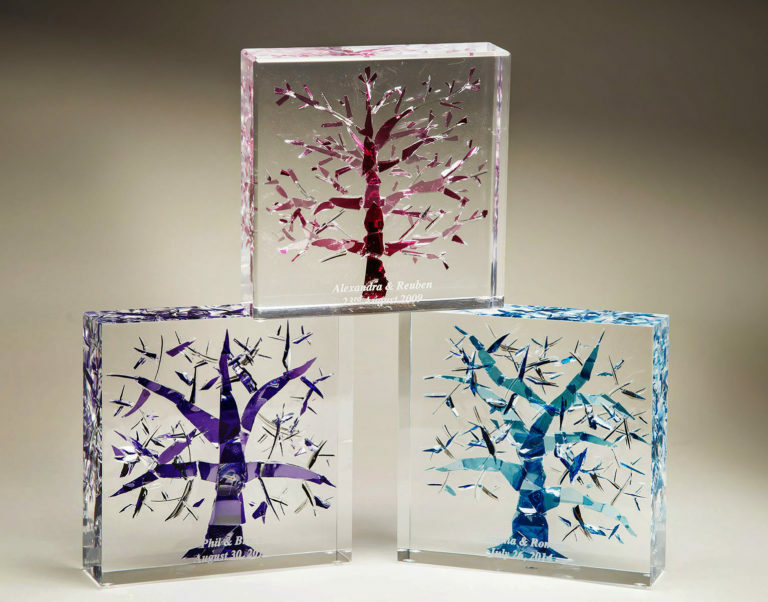 It makes a beautiful, one-of-a-kind keepsake and is an instant heirloom for the bride and groom – something to be treasured all their lives as a memory of their special day. 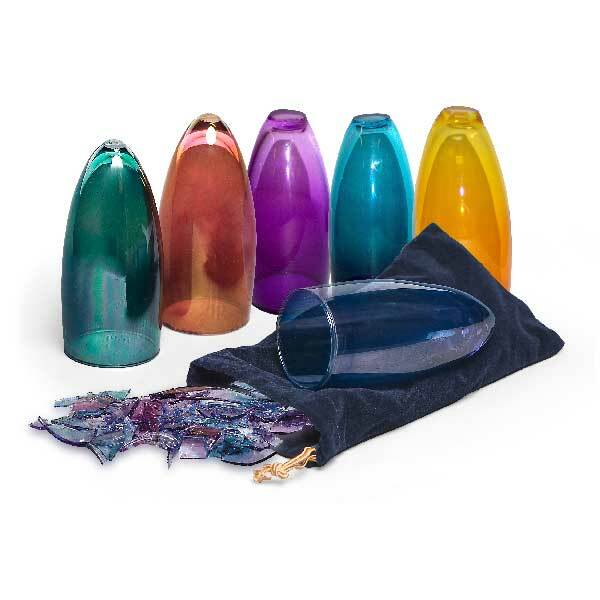 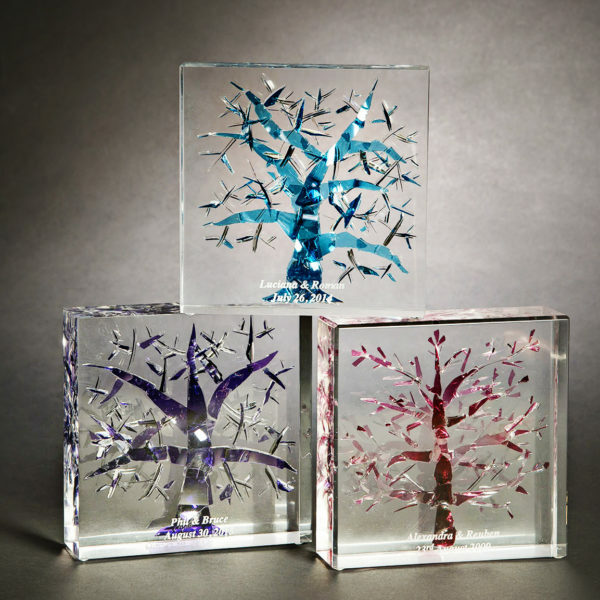 We recommend you only use a colored glass for the Tree of Life, as clear glass does not show well.